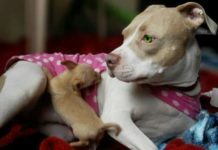 Pit Bulls can be safe with kids. 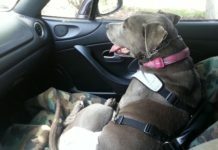 As an owner of two female pit bulls I am aware that having them around kids is a big responsibility. And not for the reasons you may be thinking. Say for example a young kid, we’ll say 8 years old is playing with one of my dogs. My dogs being active pit bulls that love to play can get quite excited. What happens when one of my dogs knocks the child over or trips them and they scrape their arm? Odds are their parents are not going to be happy, even when I asked for okay to let their kid play with my dog. 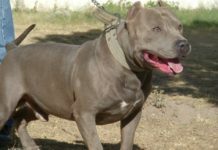 They might understand it was an accident, but that doesn’t’ change the fact that a pit bull hurt a kid. 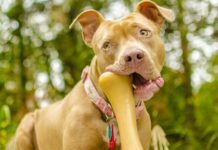 How do I know they haven’t recently read some articles of pit bull attacks? I don’t. And neither do you. 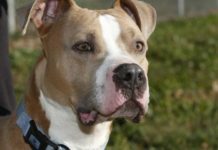 Pit Bulls can be safe with kids under the correct conditions. 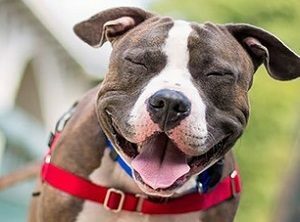 Here’s a few tips to keep in mind when having your dog around children. However, I have seen very few Pit Bulls get weird around people. Almost none now that I think about it. Since they are extremely people oriented it is quite rare to see them become skittish. However it does happen, so be aware of how your dog is reacting to people and if they do get weird, take them somewhere quiet they can hang out or continue on with your walk. 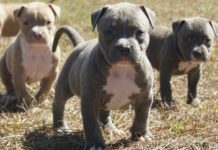 Pit Bulls can be safe with kids despite what all the articles of pit bull attacks suggest.Using common sense, watching your dogs behaviour, and keeping an eye on all interactions between kids and your pit bull will go a long way to preventing any possible accidents or problems. 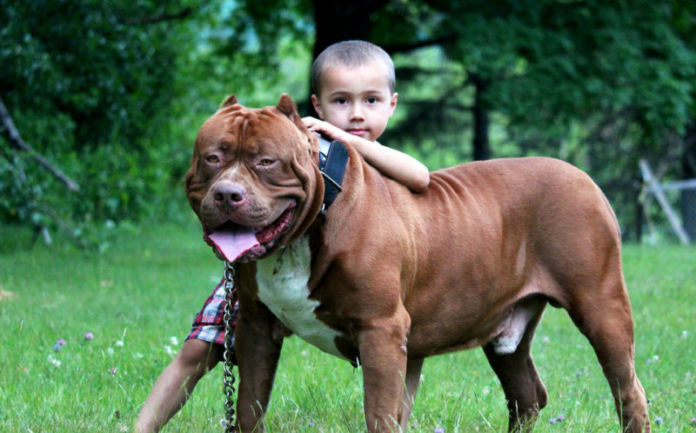 And finally, Pit Bulls love kids and the two make a perfect combination. High energy wired up kid + high energy wired up Pit Bull = loads of fun and laughter for all involved.